The annual port grain handling capacity in 2018 would grow by 6 million tonnes, reaching 49.9 million tonnes, the Ukrainian Sea Port Authority has reported. “This year, the construction of three more grain terminals was completed at the ports of Yuzhny, Berdiansk and Olvia. They will increase annual modern grain transshipment capacity by another 6 million tonnes,” Head of the administration of the Yuzhny branch of the Ukrainian Sea Port Authority Maksym Shyrokov said. He recalled that over the past five agricultural years, the volume of grain exports through the seaports of Ukraine has almost doubled, from 22.1 million tonnes to 43.9 million tonnes, and in total 52 grain terminals operate in the ports of Ukraine. 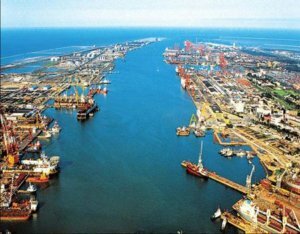 According to him, the construction of transshipment complexes, terminals, reconstruction and construction of berths continues in Mykolaiv, Chornomorsk, Odesa, Mariupol and Yuzhny ports. The countries of Asia, the Middle East and North Africa remain the main destinations for grain export deliveries through Ukrainian ports, while the EU countries reduce grain imports from Ukraine, Shyrokov said. China is planning investment projects for the creation of multimodal cargo terminals in the Ukrainian territory on the border with the EU as part of the development of transit with the European Union. Deputy Infrastructure Minister of Ukraine for European Integration Viktor Dovhan met with Chinese Vice Prime Minister Liu He, the leadership of the National Development and Reform Commission of China, and the Ministries of Transport and Commerce of China within the transport initiative “One Belt, One Road” in Beijing on November 8-9, 2018. 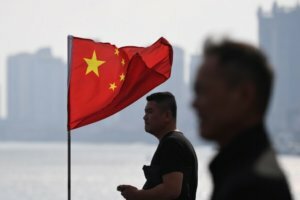 The parties noted the need to develop transit from China to the EU. “The Chinese side noted that this year 6,500 containers have been transported to Austria, and cargo traffic along the Trans-Caspian international transport route is growing. Investment projects are planned for the creation of multimodal terminals on the border with the EU (Lviv, Kovel, and Uzhgorod),” the Ministry of Infrastructure said. In addition, the ministry stated that agreements have been achieved on signing an agreement on road transport between Ukraine and China with Deputy Minister of Transport of the People’s Republic of China Liu Xiaoming until May 2019. This agreement will allow companies in both countries to transport goods in the territory of the other state regardless of the established routes, based on the needs of logistics and trade. 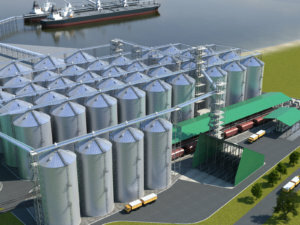 Techagro LLC plant to build three terminals – grain, container ones and a terminal for bulk and break-bulk cargos – totally worth $198 million at the Yuzhny maritime merchandise port (Odesa region), the Center for Transport Strategies has reported, referring to Director of Techagro Viacheslav Boyalsky. According to him, the company owns an 82-hectare land parcel at the entrance to the Yuzhny port water area with a berthing front of 280 running meters and a depth of about 17 meters, which will make it possible to service ships with a carrying capacity of 150,000-170,000 tonnes. “According to the estimate and financial preliminary calculation it requires $198 million of investment. The first thing that we will build is railroad, power lines and water pipelines, which will cost us $6.2 million. We plan to complete the works in 2019 to provide the site with utilities networks,” Boyalsky said. The construction of the grain terminal is scheduled to begin in 2020, its launching in 2021. According to preliminary data, at the initial stage the grain terminal will handle 4.5 million tonnes per year, including 400,000 tonnes of flour and 200,000 tonnes of vegetable oil. The container terminal, which Techagro plans to build, will have a capacity of 2 million tonnes and will cover an area of 22 hectares. The terminal for bulk and break-bulk cargo is planned to handle 2-2.5 million tonnes per year. To avoid dust, it will be equipped with two covered tunnels.